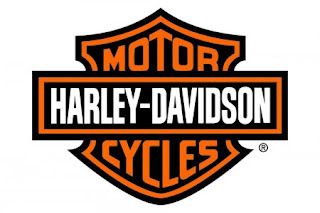 MILWAUKEE (May 15, 2012) - There has never been a better time than now to ride a new 2012 Harley-Davidson motorcycle. With the new Twin Cam 103™ powertrain as standard equipment on Softail®, Touring and most Dyna® motorcycles and four new models: the Sportster® Seventy-Two, Softail Slim®, V-Rod® 10th Anniversary Edition and the Dyna Switchback, you don’t want to pass up one of these free test ride opportunities. The first way to demo is at over 150 free Dealer Demo Events. These are usually hosted over a weekend with other items such as food and music. In addition on a daily basis, a dealership near you offers free individual test rides. Check out www.h-d.com/demos where you can schedule a test ride online or find a Dealer Demo Event nearest you. Test rides are generally available for all licensed riders at participating Harley-Davidson dealerships anytime during the riding season. Lastly, if you are attending Americade, Wing Ding 34 or the Bikes, Blues & Barbeque motorcycle rallies and own a competitive motorcycle, you should check out Harley-Davidson’s Dare to Compare Experience. It is only for riders of competitive brand motorcycles. On a first-come, first-serve basis, we offer day-long test rides on select 2012 Harley-Davidson models. To learn more about what goes into creating the ultimate ride on a Harley-Davidson, visit us at www.h-d.com/whyharley. We illustrate the undeniable differences that make Harley-Davidson motorcycles truly unique. No Compromise. No Cages.